Inserting portions of data from the original database to a schema-only copy copy of the same database and you want to maintain the same values for the table’s identity column. Performing a “data-rescue” operation, that is you are trying to fix the data in a corrupted table. So, as always, an explanation is not enough. you want examples, I want examples, everybody wants examples to fully understand something. Therefore, consider the below simple example. 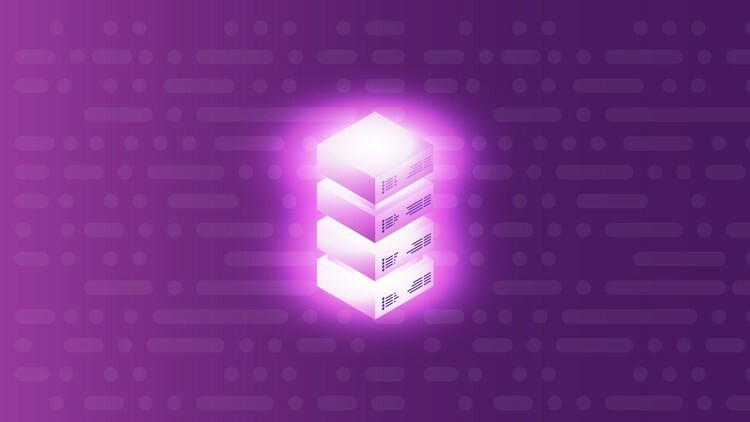 As you can see, our table’s primary key is the column “id” which is an identity column which started with value 1 and with each new insert is increased by 1. 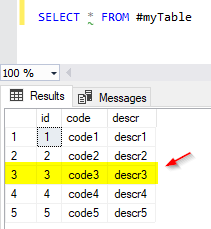 As you can see, based on the table’s data logic, there is a record missing, that is the table should contain a record with id=3, code=’code3′ and descr=’descr3′. 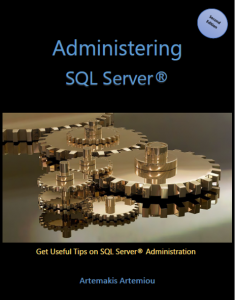 Within the context of our example, you are the Database Developer (or DBA in some cases where there is not a segregation of duties, which is wrong) and you are asked to fix this data-related problem by inserting into the table the missing record. As you can see in the screenshot, you get the error message: Cannot insert explicit value for identity column in table ‘#myTable’ when IDENTITY_INSERT is set to OFF. You need to be careful with identity_insert and use it with caution, because if you make misuse of this command there is always the risk to create data quality issues. 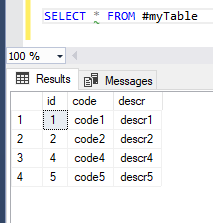 I’m curious; have you encountered cases where you needed to use the set identity_insert command in SQL Server? Feel free to comment! Did you find this article useful and interesting? 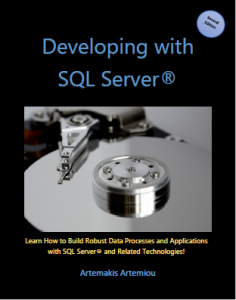 Find hundreds of useful SQL Server programming/development articles in my eBook: “Developing with SQL Server (Second Edition“. 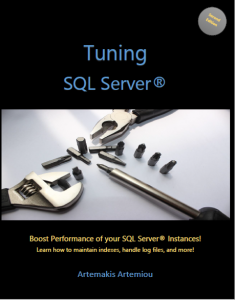 Check our other related SQL Server Development articles.